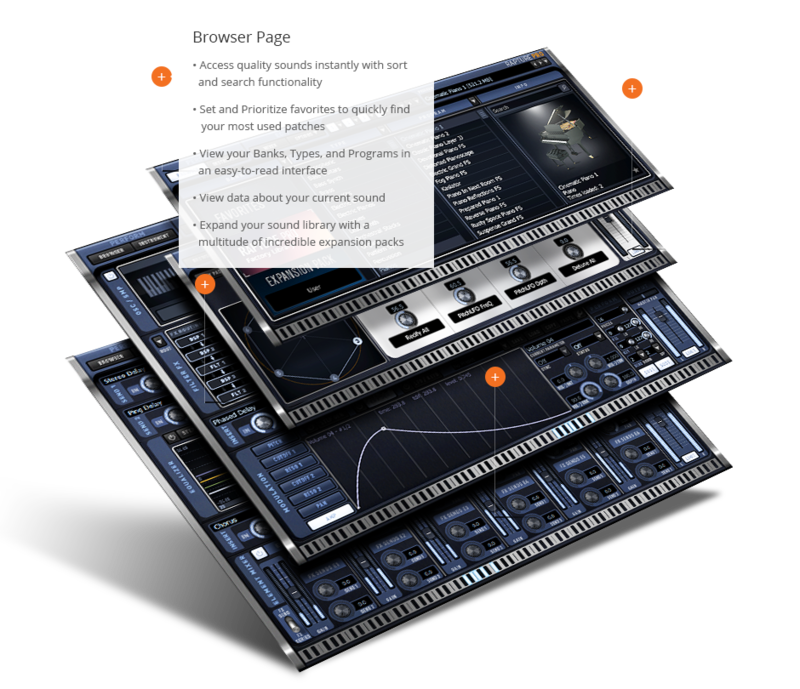 Explore nearly 10GB of sounds from some of the world's best known sound designers. 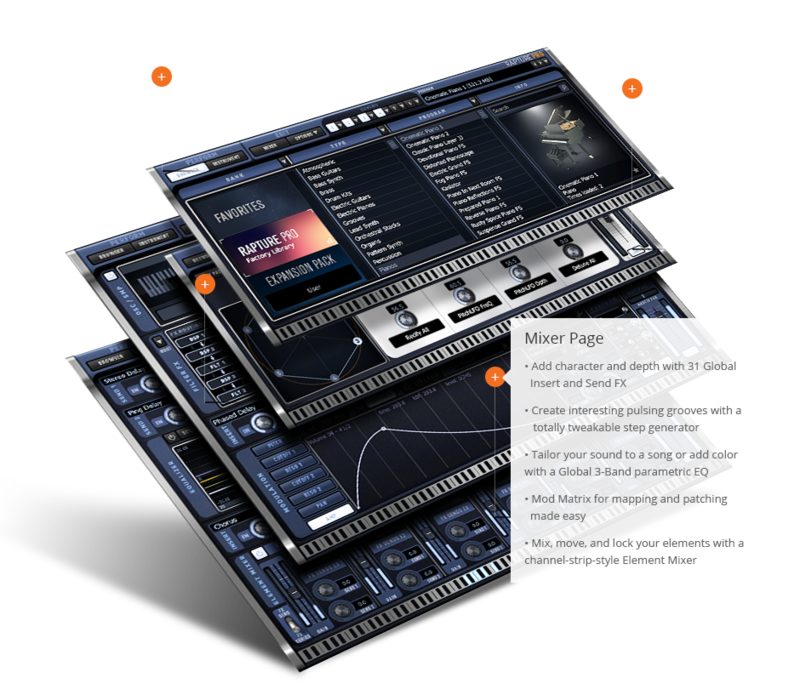 From ripping bass synths to world instruments, Rapture Pro makes it possible to explore unthinkable combinations of sounds. Listen to more sound examples. 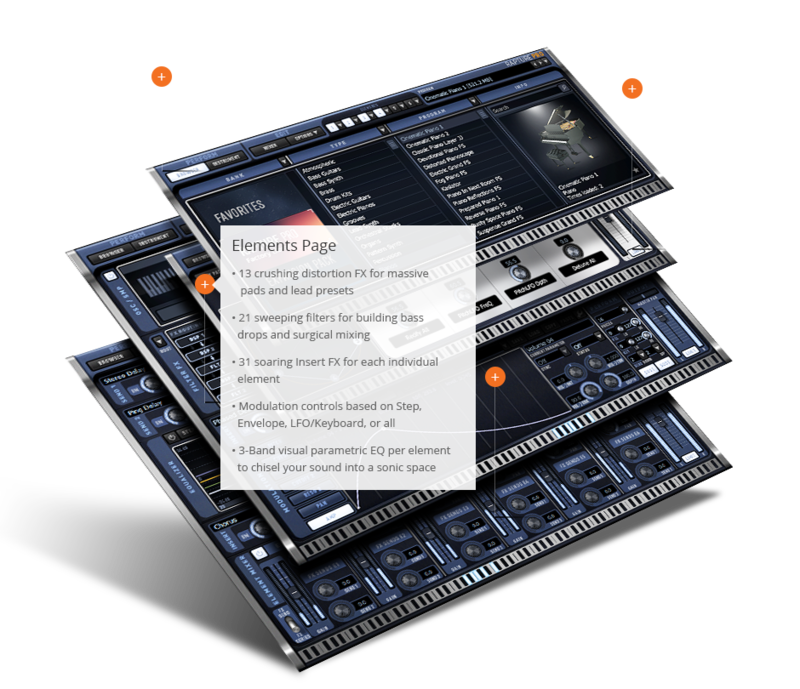 Layer real-life instruments and monstrous synth sounds simultaneously to customize how your presets and programs tear through your music with unparalleled quality. 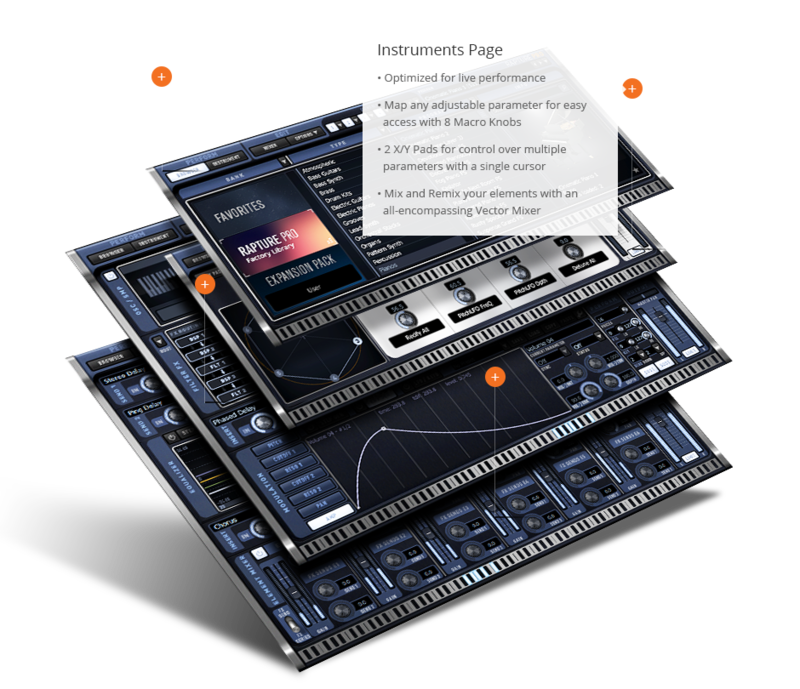 Rapture Pro includes 20 instrument types, chock-full of presets that can be easily mapped to your MIDI controller for amazing performance possibilities. Experience Rapture Pro for free with the fully featured demo, including a select library of sounds from over 10GB of content.